Teaching music is all we do! Michigan Music Academy offers acoustic, electric and bass guitar lessons for children or adults in the formula one teacher – one student. Our experienced teachers will introduce students to their favorite style, such as Rock, Pop, Classical or Jazz. Beginner level students will learn how to hold properly the guitar and to tune the instrument. Step by step the student will then learn different techniques like fingerpicking, flatpicking, slurs, how to read music using standard notation, chord symbols and tablature. If you are an acoustic bass student you will develop your tone and timing techniques for classical music. Bass students will learn how to play a variety of bass lines focusing also on tone and time. Electric bass students will concentrate on techniques such as walking bass line, slapping using a correct rhythm, tempo and appropriate dynamic signs. 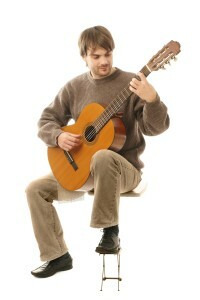 Intermediate or advanced students will work on developing instrumental technique, including chords, scales and arpeggios using a variety of musical styles. 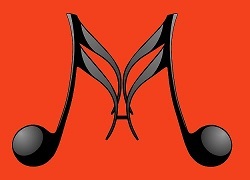 Ear training and sight reading are considered important in developing the ability to learn songs by ear or reading music easier. More advanced guitar and bass students will focus on developing their technical skills and will be exposed to different styles, such as: pop, rock, jazz or classical styles. The guitar lesson will give you the chance to learn how to read music, to recognize or to reproduce different sounds or musical parts, theory, instrumental technique, repertoire, improvise and harmony. Students are encouraged to bring recordings of songs they wish to learn to their lessons. If you are interested to be enrolled in this music class please call us at 647-262-3109 or use the ONLINE FORM to schedule you first lesson today!